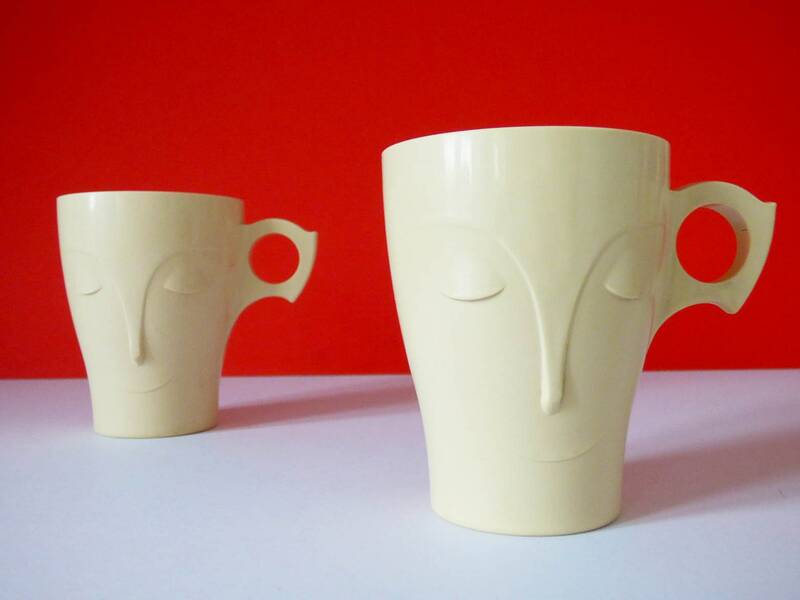 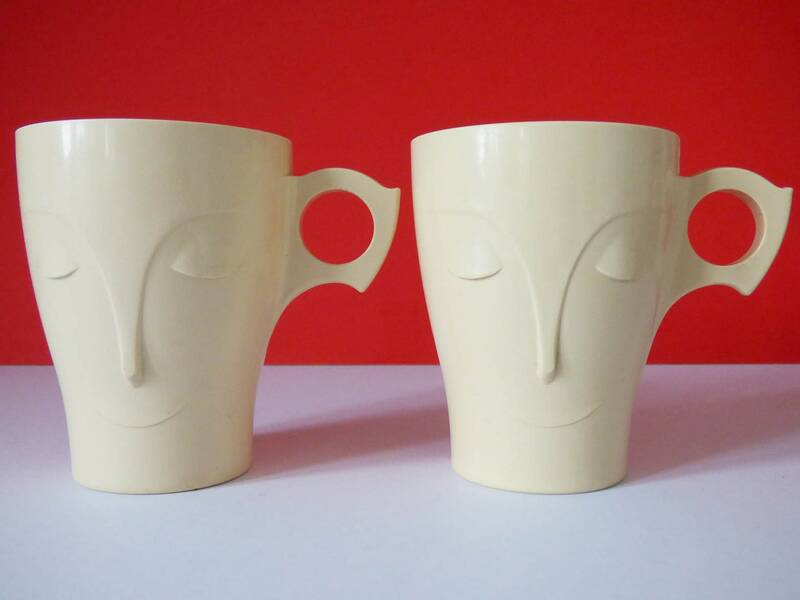 The sweet dreams beakers were designed by A.H Woodfull for Cadbury Bornvita in 1949. 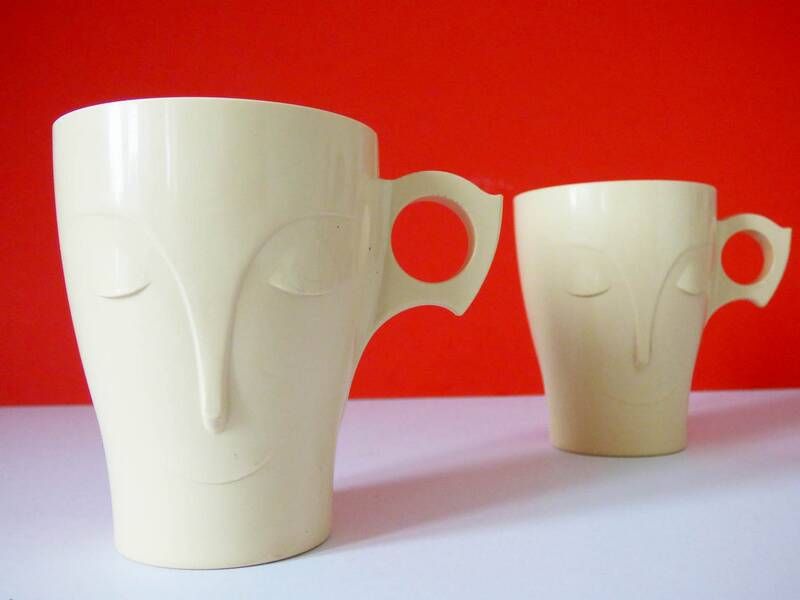 Created from Bakelite plastic this advertising icon is a design classic. 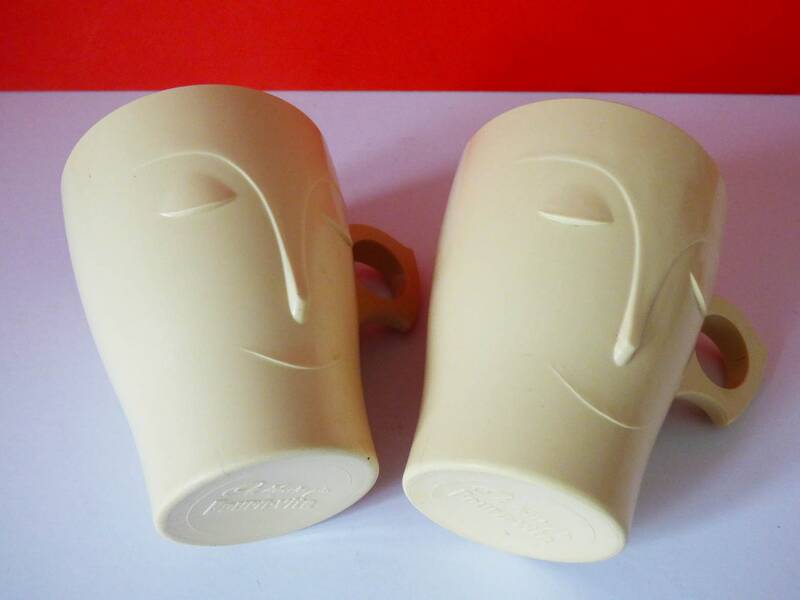 This listing is for two mugs, both are very old, and have hairline cracks to the inside and outside, they have obviously been well used, and may have been left at the back of a cupboard for many years. 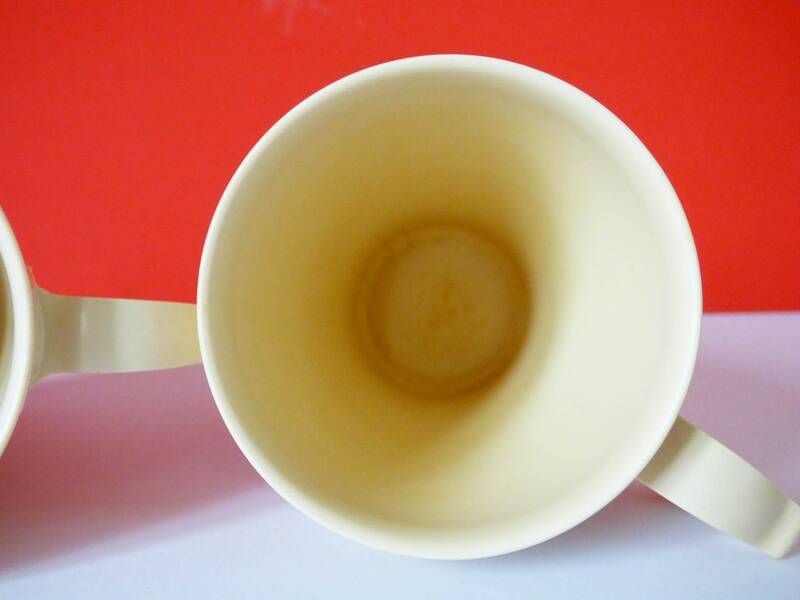 The little cracks and marks don't seem to be going anywhere, but like I say these are very old mugs. 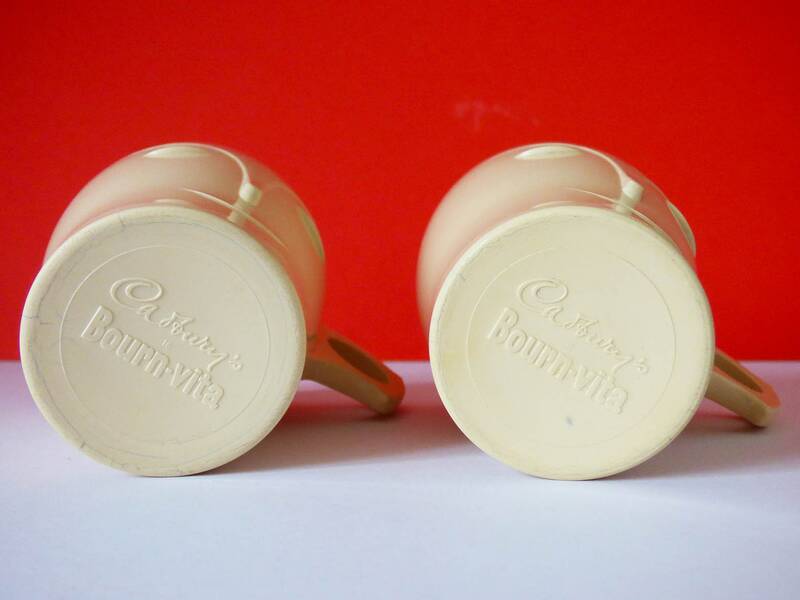 Created from Bakelite plastic, the insides are slightly stained, there are a couple of nibbles to the rims of them, but still, they really are beautiful,. 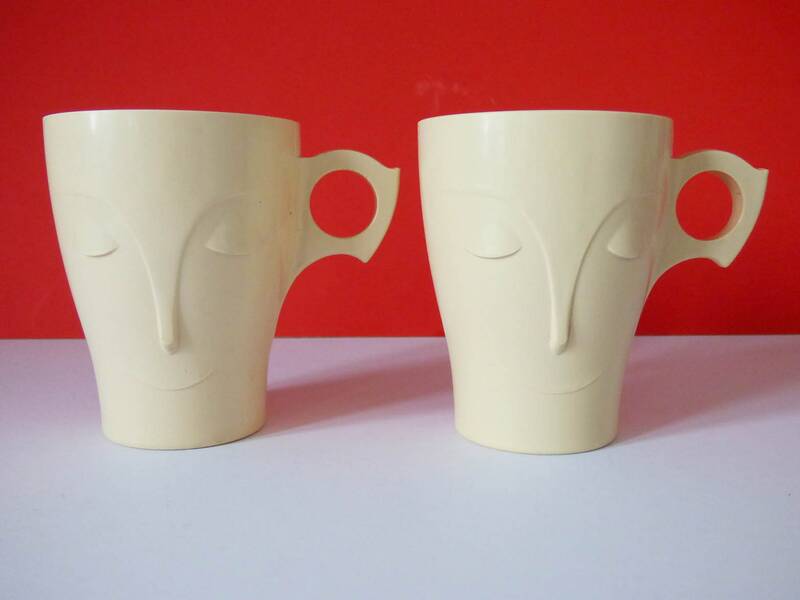 Originally the mugs would have had lids, unfortunately, these are also missing, but it does give you the chance to own two of these super little mugs at a much, much, lower price. 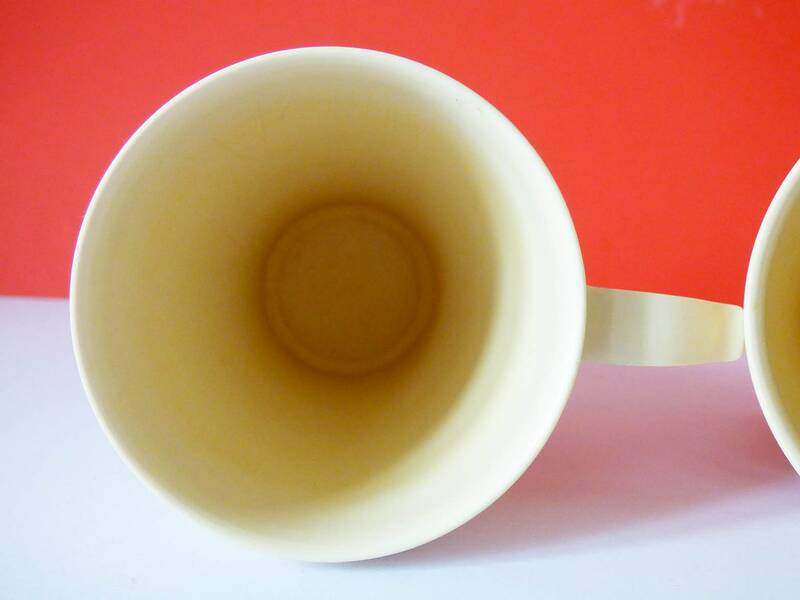 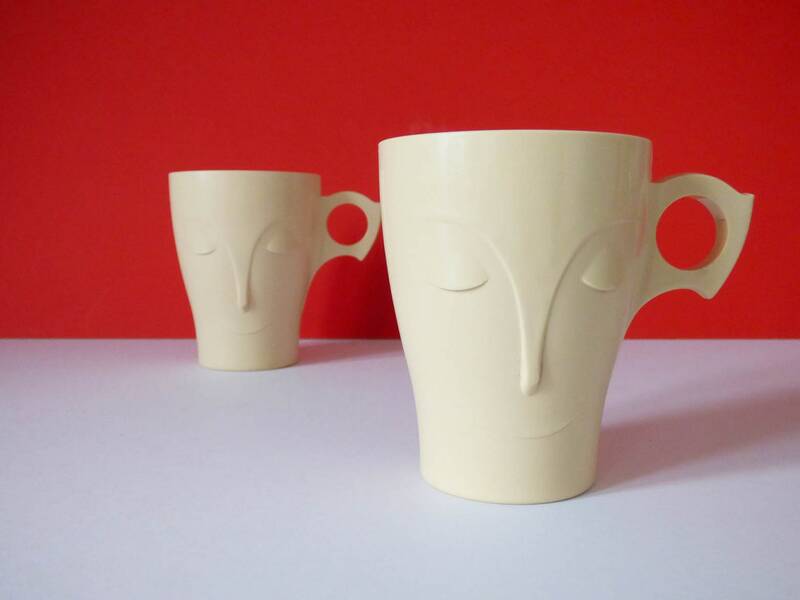 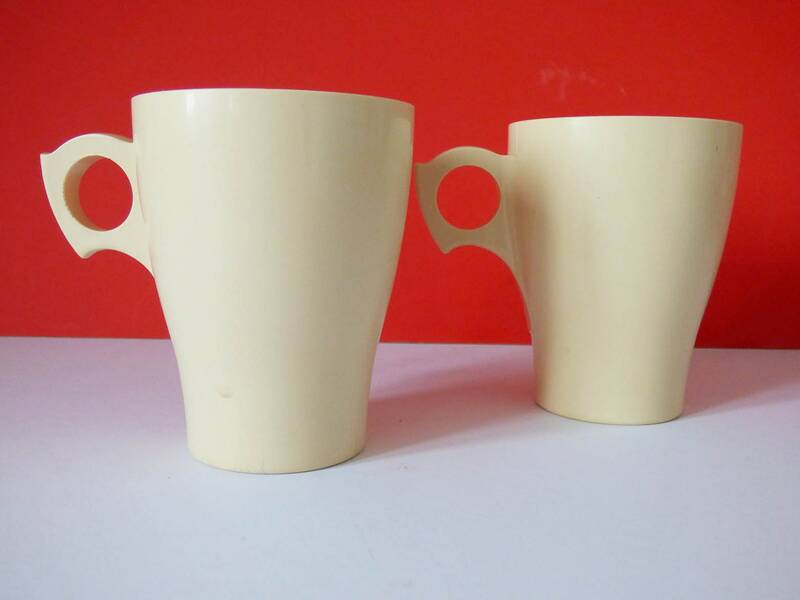 The listing is for 2 mugs as shown in the pictures.